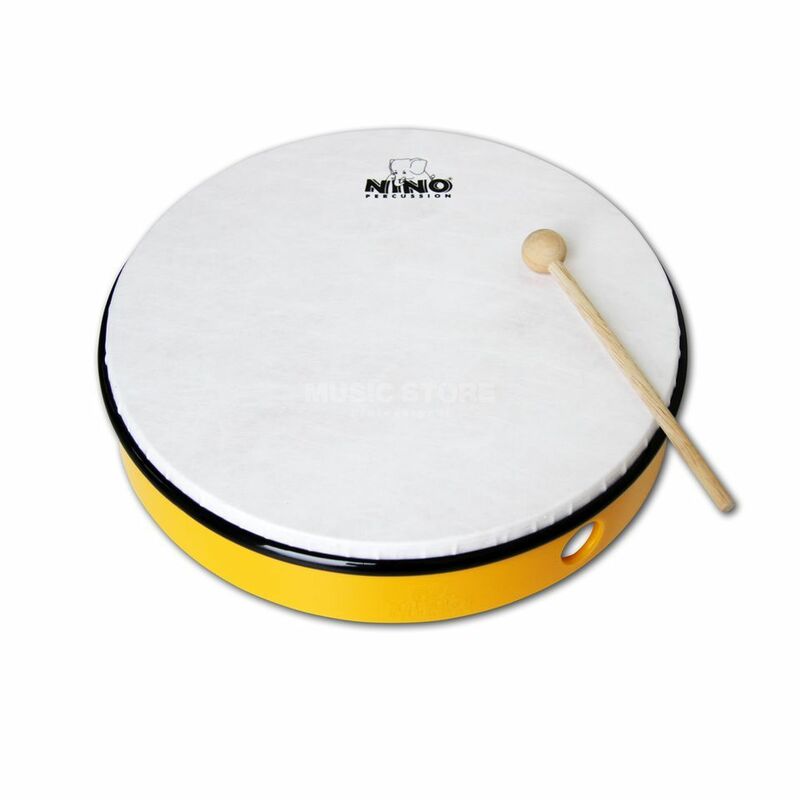 The Meinl NINO5Y Yellow 10" Plastic Hand Drum for Children is a 10” hand drum with a shell made from tough, unbreakable, ABS plastic and a hard-wearing synthetic skin. As with all Nino instruments, the NINO5 range is made to be musical and not simply as a toy. For this reason they have used a synthetic head instead of the plastic heads which are commonly found on toy drums. This means the tonality of the NINO5 drum range is in keeping with adult, professional percussion. It is also consistent from drum to drum and elegantly tuned between the various sizes that NINO produce (6”, 8”, 10” and 12”), for a far more pleasant group drumming experience.